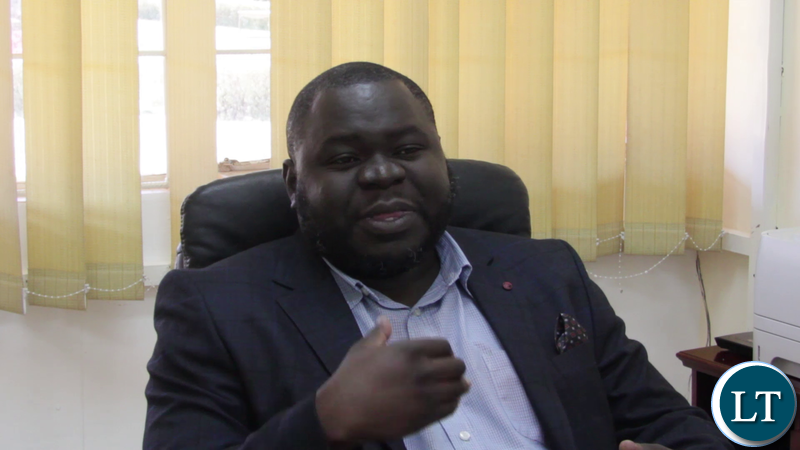 Dr. Lubinda Haabazoka, president of the Economics Association of Zambia, responds to a Bloomberg Businessweek article published on Jan. 10, 2019. The problem has be some misinformation on the actual external debt Zambia owes China. I feel the constitution should delegate the duty of debt contraction away from the Minister of Finance to Parliament for debate and public scrutiny to enhance transparency and accountability than the current scenario. It is a well thought response to the Imperialists whose focus was not for Africa to come near their developed status. Now they have no clue how to stop China in Africa but to issue statements out of disillusionment that all US Dollars and African resources are accumulating in China. African Political Leaders must never again look West. Under the late President Levy Mwanawasa , Zambia reached the HIPC completion point and it took rampant public corruption by its horns.The result was debt cancellation and forgiveness by western countries and Zambia only had $2.5billion in foreign debt. Now the PF took over ,Zambia has foreign debt of over $12 billion and corruption has reached the highest levels ever recorded.The evidence is there. So what lies and nonsense is this Russian Educated ,UNZA drop out and PF cadre trying to tell us knowledgeable Zambians. Habazoka should call a spade a spade .Reckless borrowing by the PF has led Zambia to this Chinese debt trap.Why should the west give you any money. Under Mwanawasa we had one creaky UTH for 3m Lusakams. Mothers gave birth on wet floors. It took 2 days to get to Shamgombo from Sesheke. The illegal task force on corruption had the worst conviction rate than any judicial institution in Zambia’s history. Corruption at Lands Ministry was at record levels under Mwanawasa. As Habaazoka has put it-Its all western propaganda aimed at curbing Chinese influence in Africa. You credit LPM too much! HIPC was initiated by World Bank & IMF under FTJ. Remember Penzanomics – macro and micro economics? it was at this point that the conditionality of meeting millennium goals were set with the promise of debt forgiveness! Also remember that the church, the Catholics in particular, were an effervescent proponent. @3 Independent, PLIZ GET YOUR FACTS RIGHT!! HIPC was NOT Mwanawasa’s initiative, it WAS STARTED BY MMD UNDER FTJ and took MORE THAN 20 YEARS TO COMPLETE! !In fact the first year of Levy’s rule we a budget overrun which delayed our debts cancellation for a year and half!! ALL ZAMBIANS DESERVE PRAISE FOR THE SACRIFICES THEY MADE FOR US TO REACH THE HIPC COMPLETION POINT,and scars of that period are still abound! YES,THERE IS ALOT OF CORRUPTION IN PF BCOZ EVEN THE PRESIDENT DOESN”T LOOK CONCERNED ABOUT, HOWEVER DURING MWANAWASA’s TIME CORRUPTION FIGHT WAS SELECTIVE AND VENGEFUL. We still hard expensive poor quality roads being constracted, dubious oil supply contracts and provision of services to government being done with favoritism,including “Family Tree” appointments!! For once, this Russian Educated ,UNZA drop out and PF cadre has put the notion of the west in perspective. That they should stop patronizing Africa and Zambai in particular! Imwe ma Zambians, how is it possible that even these so called learned people are brought around to think like this? Munthu wa mu komboni is right now hustling on how he is going to feed his family today. Has Lusaka run out of barbershops? I wont read the article, let me miss out at my own peril assuming the article has some meat miraculously this time. Because from him, it is normally not objective but political inclination. I can suggest that we take habazoka back to Luanshya Boys Secondary School to rewrite his grade 12 commerce. May be he can pass! His articles have lately been smokey and one sided. Young man, rethink your strategies. When Zambia graduated from HIPC the foreign debt was 5million. You could have remained at your $5 million with no meaningful development. I meant to say the debt was Five hundred Million. This is completely waffling by this Fake Dr. The point is to be objective, and so the Bloomberg article merely states the obvious. Comparing Zambia to the countries mentioned doesn’t work as their bargaining power is a lot better. In addition none of these countries have given access to their ICT infrastructure, and for other major projects the host country has more shareholding than the Chinese. Nobody is anti-investment, but it has to be mutually beneficial! Find out what the ZTE Chinese Cellphone and Router technology controversy in the U.S. is all about. So when you say “none of these countries have given access to their ICT infrastructure,” you need to do your homework first. My friend, don’t be fooled, China is everywhere and in almost everything. In fact, some of these Western Countries/economies (individually) have much, much, much higher debt to China than what the entire African Continent/Countries, combined, owe the Chinese. The problem with UPND sycophants and zealots and enemies of progress above is that they suffer from acute inferiority complex just like HH who was suspended for one academic year at UNZA for an economics leaked paper and it explains why he fails to articulate economic issues of the country and cannot be compared to Dr Haabazoka not even the journalist Mr Chibamba Kanyama mascarading as an economist is equal to the Doctor. This government job seeker is at it again. This time as a de-facto government spokesman. Zambia has not offered any state-owned enterprise to any lender as collateral for any borrowing, nor does it ever have plans to do so. EAZ is in good hands. As long as you have pipo brain washed by the west, there is nothing Zambia will ever right. Zambia is on the right path. I once attended a debate between an urban planner and an economist. In that debate, I could see that economists view development in aggregate figures while planners mind mainly about human development. Currently in Zambia, the government has done very well in terms of setting the necessary factors for economic growth. Though economic growth is an important factor in human development, more ingredients need to be put in place. When there’s too much inequality in the nation, we can’t really talk about real development. Chinese are doing whatever they can to provide infrastructure and industries, but we need to balance what the Chinese are bringing with our own socioeconomic interventions. Well thought out comment. You definitely are a good economist. Lucinda Habazoka. You are true patriot. Is it only me, looking at the photo of this guy, he has a smile like a person with special needs! A bit like a mentally retarded adult! On 11th November 1965, Ian Smith in Rhodesia (Zimbabwe) unilaterally declared independence from the United Kingdom popularly known as UDI. Being landlocked, the Smith regime tried to intimidate Zambia out of her support for the liberation struggle by cutting her only outlet to the sea – the road and rail trunks from Zambia to the sea ports in South Africa and Mozambique, passing through Rhodesia. The Western countries were first approached for assistance to build the Tazara line but as expected they rebuffed the idea, insisting that “the project was economically not viable”, which was equally supported by the World Bank. Last year, Chinese firms invested just $30 billion in the United States, Canada, and Europe, a stark reversal from the $111 billion invested in 2017 and the $94 billion in 2016. The west is a declining Empire and their Leaders know it. The minion that Britons have become even thought BREXIT was a messiah. Chinese capital and cheap goods which plopped the West for more than three decades are fast disappearings for far better returns and appreciation in the new World such as Zambia. Declining Empires have always scorched those they believe cause their decline in any which way. So more of this Western crap like Brexit, yellow vests and bad mouthing Zambia still to come. Well articulated. The West feared communism but were comforted because it was an economic disaster but now communism is an economic success story as it has been refined by Deng with his cat theory and the west is scared of communism and China. Habazooka HAS A POINT but when a well informed person like him is writing on such important issues, he also needs to stress the importance for us to invest Chinese infrastructure money wisely and transparently. It is EVIDENT THAT THE INFRASTRUCTURE WE ARE INVESTING IN VITAL BUT IT IS ALSO TRUE THAT THERE IS LIKELIHOOD OF CORRUPTION THROUGH OVER-PRICING and lack LOCAL LINKAGES WITH LOCAL ENTREPRENEURS! We should NOT listen to the West too much if we have to make progress! !When CHINA BUILDS,ROADS,RAILWAYS,POWER STATIONS IT IS WESTERN MULTINATIONALS WHO BENEFIT BY USING THIS INFRASTRUCTURE TO EXTRACT MINERALS AND REFUSE TO PAY TAXES,by and large the Chinese buy the copper,cobalt and minerals from Western multinational who get them free of charge from Africa! !